While Week 4 ended yesterday, remember the Game Time Gold at McDonald’s is far from being over as you have until December 21st to enter the Final Drawing. 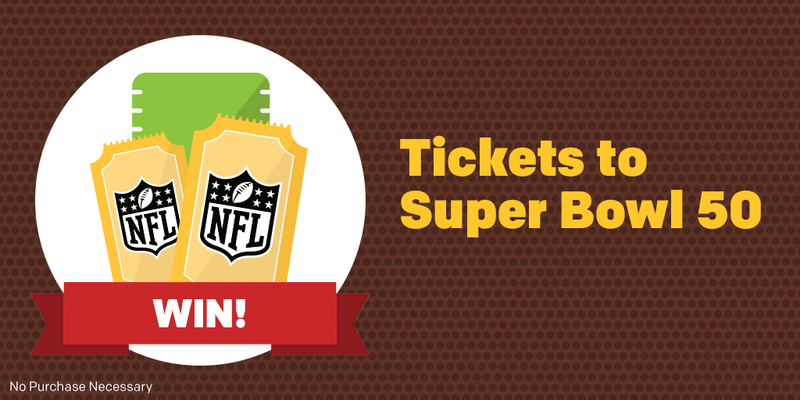 All non-winning Entries in the Sweepstakes and those received between November 3 and December 21, 2015 will be included in the Final Drawing for the chance to win the last trip for two (2) to Super Bowl 50. Wondering who were the lucky winners of the Game Time Gold? Check out the ?Game Time Gold? winners who celebrated a big win below. Play now and you could win just like these people when they played ?Game Time Gold?! But wait, there’s more! McDonald’s is now giving away something everyone can win – a free Egg McMuffin! Be among the first 8,000,000 to download the new McDonald’s app & register then you’ll get a free Egg McMuffin or your favorite sandwich! Buy 5 McCafé beverages, get 1 free. New deals for your local McDonald’s every week. And that’s only the beginning. Just select the offer you want, tap “Redeem” and scan your phone when you order. Yep, that’s all.